Join the Diefenbunker in welcoming Dr. Andreas Etges underground as he discusses his latest work, From Confrontation to Détente? 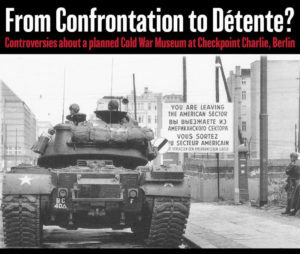 Controversies about a planned Cold War Museum at Checkpoint Charlie, Berlin. Checkpoint Charlie is the iconic site of a dangerous tank confrontation between American and Soviet forces in 1961.